America is dying a death by a thousand cuts in the form of hidden and explicit taxation, the insane generation of new regulations, and the resulting massive unemployment. Obama just selected a new economic advisor who is known to favor a value-added tax that would drive up the cost of everything you purchase. It’s not like solutions to our economic disaster are not known. They are and the Obama administration will not implement them. They do know what they are doing and it is deliberate. 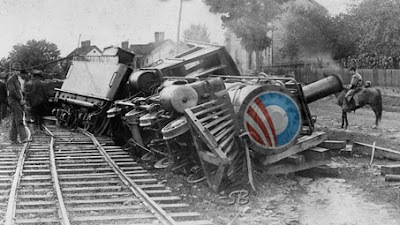 On September 7, in the guise of a jobs speech Obama will offer massive new spending programs. The money for them would have to be borrowed. The interest on that borrowing would sink the nation further into debt. In the August 31 edition of The Wall Street Journal, an editorial revealed that, when Speaker John Boehner asked the White House to disclose any “major” federal rules in the works with estimated economic costs of $1 billion or more, he was informed that the Obama regulatory agenda for 2011 contains 219 proposed such new regulatory initiatives. In 2010 the administration had 191 proposed regulatory initiatives in the works which combined with those proposed in 2011 add up to a total of 410. By contrast the first two years of the Bush administration rulemaking accounted for only 103 new, major regulations. Of seven pending major rules estimated to cost more than $1 billion one includes the Environmental Protection Agency’s ozone regulations, estimated to cost $90 billion if Congress does not step in and put a stop to it. The EPA is trying to eliminate one tenth of all the utilities that provide the electricity the nation needs to function. The Competitive Enterprise Institute’s experts on regulation have concluded that the present cost of federal regulation to businesses that must comply with them is $1.75 trillion annually. If you visit USA Action News.com, you will find an issues section devoted to the Cloward-Piven strategy named after two socialist academics who spelled out just what it would take to economically destroy the nation. It is being implemented by the Obama administration. 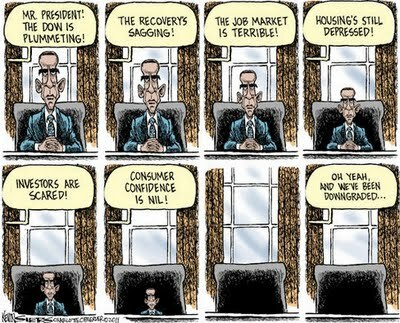 Why would anyone at this point think that President Obama knows how to create jobs? 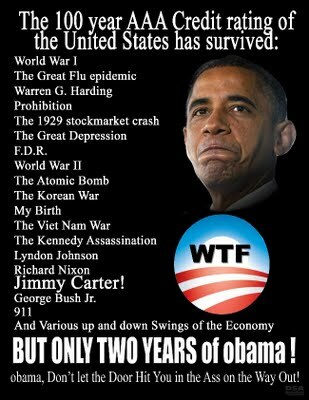 Isn’t this the first President in the nation’s history to be in office when its historic AAA credit rating was downgraded? 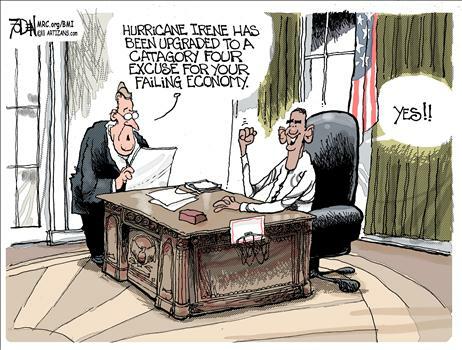 Isn’t this the President whose original “stimulus” plan is universally regarded as a costly failure? Isn’t this the President who added more than $4 trillion to the national debt in just two and a half years? Citing a recent article in the Wall Street Journal, it turns out that there are more unemployed Americans than the combined populations of Wyoming, Vermont, North Dakota, Alaska, South Dakota, Delaware, Montana, Rhode Island, Hawaii, Maine, New Hampshire, Idaho, and the District of Columbia. 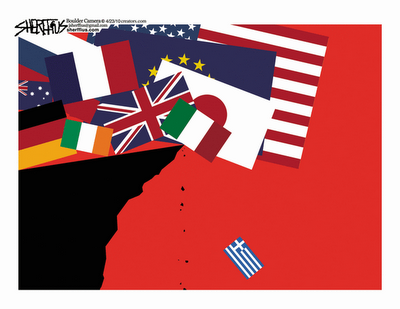 The number of unemployed Americans is larger than the entire population of Greece! The number of Americans on food stamps has increased 74% since 2007. Among the reasons cited or suggested by the article were that politicians in Washington, D.C. really don’t care that the nation is bleeding jobs and, to make matters worse, the Obama administration has instituted a “backdoor amnesty” that would make deporting illegal aliens that hold jobs virtually impossible. As some U.S. States and local governments face the equivalent of bankruptcy, they are shedding jobs “at an unprecedented rate.” The Center on Budget and Policy Priorities estimates that more than half a million such jobs have been lost since 2008. It forecasts that nearly a half million more will be gone by the end of 2012. U.S. corporations exist to generate profits and dividends for their investors. As such they must compete in a global marketplace where other nations like China pay pennies in salaries while they must undertake mandated costs over and above any salary they have to pay new U.S. employees. So jobs are exported. Unfair trade practices tip the scale of exports to nations like China that, in turn, do not import a comparable amount of U.S. goods. As for taxes, businesses of all size in America are “being taxed into oblivion” with U.S. corporate taxes being the highest in the world. Between state and other taxes, Americans give up some 42% of their income before they can put their paycheck in the bank. Anyone who has given Gov. Perry’s resume even a glancing look knows that he’s not only bright enough to have risen from humble beginnings, but he has never lost an election. And the man is from Texas, just like two previous Bush Presidents and the unlamented Lyndon B. Johnson who managed to not only mire the nation in a war in Vietnam, but to lose it. By contrast, two and a half years into his term as President, no one knows what grades Barack Hussein Obama received at either Columbia University or Harvard. Indeed, as far as a “paper trail” is concerned there are still gaps wide enough through which to drive a tank regarding what is actually known about Obama such as, for instance, where did he get his Social Security number? What nation’s passport did he travel on when he visited Pakistan in his youth? So far, he has produced several “birth certificates” that were so bogus that they were instantly revealed as such by experts who meticulously detailed why. Just as with the 2008 campaign, the mainstream media has run interference for this usurper, largely by ignoring the issue. 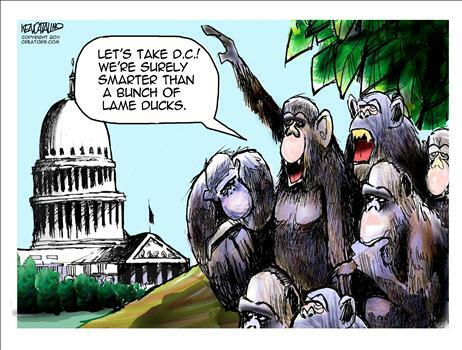 When it comes to comparing smart versus dumb, how smart is Obama when the record shows that he ignored the problem of the national debt, handing it off to a commission whose findings he ignored until Standard & Poor’s downgraded the nation’s credit rating for the first time ever! Those in the White House and leading the Democratic Party so obviously regard the American public and, in particular, voters, as stupid that they utter the most stupid things themselves, thinking no one will notice. The new chairwomen of the Democrat National Committee, Debbie Wasserman Schultz, said that Republicans are wrong on illegal immigration because they think “that in fact it should be a crime.” Earth to Debbie, it is a crime. Vice President Joe Biden, who has become an embarrassment to the White House and Democratic Party, speaking of the decision to kill Osama bin Laden, called it “The boldest decision any president has undertaken on a single event in modern history.” What about all the decisions President Bush had to take following 9/11? 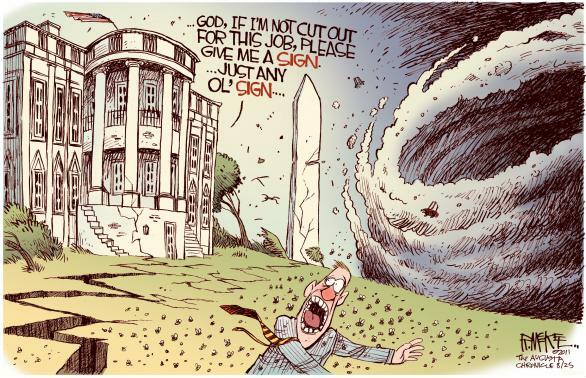 Obamacare was such a disaster that the U.S. Department of Health has had to issue 1,400 waivers. Hardly a day goes by without new revelations of the costs it imposes on the economy or the thousands of bureaucrats that would have to be hired to enforce it. The House of Representatives has already voted to repeal it and 26 States brought a court action against it; the most recent decision on the way to the Supreme Court has found it to be unconstitutional. The same day a Politico’s article, blogger Burt Prelutsky posted a brief hilarious review of Obama’s gaffes that is well worth reading. So the kettle is calling the pot black. In the case of the Barack Hussein Obama, Jr., his skin color will provide no protection from his appalling record of incompetence and stupidity. Sometime just before the end of August, "Warning Signs", passed 900,000 total page views since its inception. Based on emails and comments, it is clear that this blog is read by people from around the world and don't ask me how they discovered it, but I am delighted that a blog written essentially for an American audience of readers is read in places where its message also resonates. Warning Signs is written from an unapologetic "conservative" point of view and in the belief that so much misleading and deliberately false information is disseminated from the Left that it must be debunked and refuted, as it turns out, on a daily basis. The views expressed are all researched to ensure accuracy. The rest is opinion based on more than seven decades of life on planet Earth, a lifetime of experience and knowledge. For those who have signed up as "members", my thanks, and an invitation to all others to do so as well. And, of course, a great big Thank You to those who have donated to this blog, helping with the general costs involved. Those who donate $50.00 or more all receive autographed copies of one of my books. I anticipate that Warning Signs will pass the one million mark before the end of 2011. There’s something very wrong when the forthcoming memorial ceremonies of 9/11 at Ground Zero in New York City will not include prayer. Almost by definition, a memorial service includes prayer for the souls of the dead and for renewal in the face of adversity. No doubt a combination of political correctness and common sense made it clear that having a Muslim imam joining the clergy would be a very bad idea, given that it was Muslims that planned and carried out the attack. That would have been an affont, but denying representatives of the Judeo-Christian faiths on which America is based seems to me a bad idea, too. Religion, for whatever reason, is being squeezed out of the public square whenever and wherever some athiest complains about it. Returning to the theme of hurricanes, does anyone remember how Al Gore and other global warming liars were predicting that global warming would cause more hurricanes? Well, the East Coast has been through a period of some five years without one making landfall. 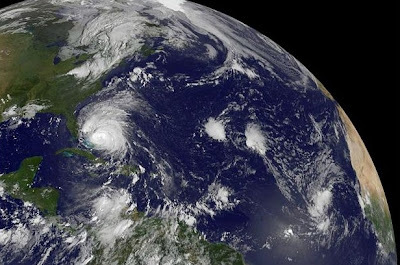 Since there never was any dramatic global warming, there never was a connection between the two. In 1876 Thomas Alva Edison opened a laboratory in Menlo Park, New Jersey for the purposes of exploring how to produce and distribute electricity. History records that he invented the incandescent electric light bulb there. By 1890, he had established the Edison General Electric Company, now know simply as GE. In 2011, Jeffrey Immelt, the CEO of GE and the chairman of President Obama’s “Jobs Council” is eliminating jobs for American employees of GE at a furious pace. To add insult to injury, in 2010 GE paid no federal taxes at all despite worldwide profits of $14.2 billion. GE claimed a tax benefit of $2.3 billion. From an America corporate icon to an American disgrace, GE epitomizes how federal policies, cronyism, and rent seeking is destroying America from within by avoiding taxes and shipping jobs overseas. Keep in mind, none of this is illegal. It is, however, unconscionable. The last GE factory in the U.S. that made light bulbs closed last September. This came on the heels of the federal government’s ban on the 100-watt incandescent light bulb and its push to require Americans to purchase the new CFL light bulbs as part of Obama’s green jobs initiative. The CFL bulbs have been universally denounced as providing less equivalent light, costing more, and using mercury as part of their manufacture. “America is being de-industrialized at lightning speed and very few of our politicians seem to care,” says TheEconomicCollapseblog while noting that in 1979 there were 19.5 million manufacturing jobs in the United States and today there are 11.6 million. While President Obama berates the Congress for the lack of free trade agreements, he neglects to say that several such agreements with Latin American nations linger on his desk and none can be acted upon by Congress until he sends them for approval. While Jeffrey Immelt flies around in his corporate jet and issues vacuous, hypocritical statements about jobs for Americans, he and his close friend in the White House are undermining the economy. Other U.S. corporations are following suit. The U.S. corporate tax is the highest in the world, but you will not hear any talk of lowering this tax rate, only meaningless class warfare blather about taxing “millionaires and billionaires” more when, in truth, those taxes will fall heaviest on small business owners. This is the deliberate destruction of the U.S. manufacturing sector. It occurred to me (and probably a lot of others as well) that it’s just over for Obama. It doesn’t matter that he intends to present yet another “plan” to get Americans working again after his Martha’s Vineyard vacation. 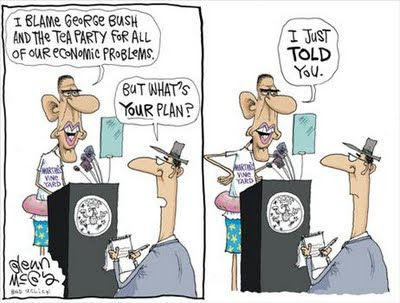 Whatever plan Obama puts forward will simply repackage his failed “stimulus”, his “tax the rich”, and other idiotic socialist notions of how to “fix” the economy. They didn’t work during the Great Depression and will not work now. Like a female preying mantis that eats the head of the male who mates with her, just about everyone that has had any contact with Barack Obama suffers as a result. It didn’t matter if it was his white grandparents who took him in when his mother abandoned him---after having gone through two husbands. It didn’t matter if it was his longtime pastor, the Rev. Jeremiah Wright, in whose church he learned the fundamentals of black liberation theology. He has a habit of abandoning or denying relationships. His marriage appears to be the exception. Presidents, though, are judged on their accomplishments and Obama has so few it’s becoming an embarrassment. Like the woman who told him she was “exhausted” from trying to defend him, a lot of die-hard liberals are looking for cover as he hits the campaign trail to secure the nomination for a second term. If there is such a thing as an honest Democratic Party consultant or strategist, they would surely tell you that Obama is going to be overwhelmingly defeated. A former Louisiana Governor, Edwin Edwards, famously said that the only way he could be defeated was if he was found in bed with a live boy or a dead girl. The only way the Republican candidate will be defeated would involve similar indiscretions. That has not stopped liberal scum from advertising for “dirt” on Gov. Rick Perry. The other part of his plan was to expand the size of the federal government through the creation of some truly monstrous bureaucracies such as those associated with Obamacare and the passage of the Dodd-Frank oversight of banks and financial firms. 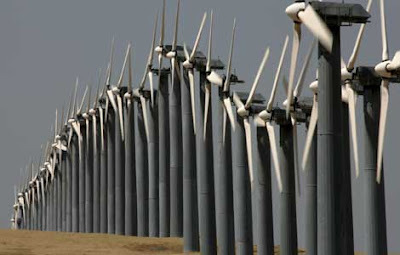 To which I say, “Duh!” If you want to know where solar panels and wind turbines are manufactured, Google CHINA. In the U.S., they are merely assembled for sale. So-called “green” companies are filing for bankruptcy with predictable frequency, taking taxpayer subsidies and grants with them. What I confess I find astonishing are the continuing reports of the President’s fund-raising success. Notably Obama has already scheduled far more such events than the last four presidents who preceded him. Hollywood gives gobs of money and so does Wall Street. The latter has always struck me as odd if only because it represents a hotbed of capitalism while, in reality, its denizens tend to be raving liberals. What worries me more than anything else about President Obama is the fact that he has sixteen months left in which to inflict as much damage on the economy and the nation’s future as possible. I have little doubt that is his intent. He just issued an Executive Order as an end-run around the illegal alien amnesty issue that Americans have defeated a half dozen times when Congress tried to get it passed. 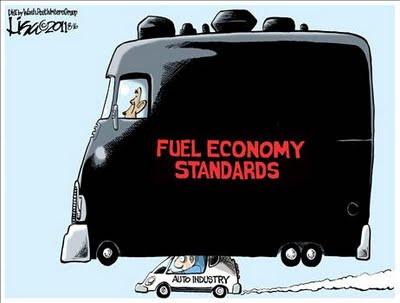 The new fuel economy standards his administration has announced will add an average of $11,000 to the cost of buying a new car. Another recent executive order tells the heads of departments and agencies to make sure their hiring practices involve “diversity” which is another way of saying pass on qualified whites and hire blacks and Hispanics. His Supreme Court appointee, Sonia Sotomeyer, once ruled that a local fire department had to lower its hiring standards because no blacks passed its application exam. Whatever happened to color blind hiring? A President is expected to provide leadership and Obama has provided none, domestic or foreign. Americans cannot begin to fathom how much other nations around the world look to America to set the tone and provide direction in the conduct of their affairs with each other. We have seen what happens when foreign leaders and troublemakers conclude the President of the United States of America can be ignored with impunity. 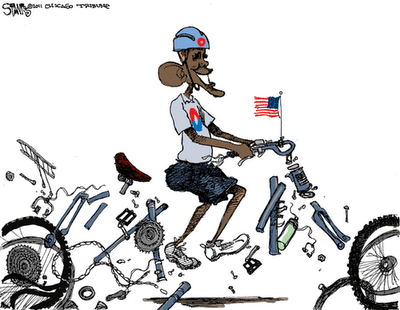 America is experiencing Obama Fatigue. He has worn out everyone with endless speeches. The man lies. He lies all the time. He lies more than Bill Clinton during the awful Monica Lewinsky scandal or Richard Nixon during Watergate. His job plan will be another lie, another pathetic liberal concoction in which the government just spends more money it does not have. Or worse, intends to tax people for money they cannot spare. And, finally, the Tea Party! I was a young working journalist during the era of the Civil Rights movement and one evening I was covering a speech by Dr. Martin Luther King, Jr. on the campus of Drew University in Madison, NJ. I was accompanied by Vivian Braxton, a civil rights activist who said, “Let’s go backstage and meet him” when the speech was finished. Backstage, Dr. King stood alone while others stood at a respectful distance, afraid to approach him, so overwhelmed by the power of his words and personality. Vivian, however, headed straight for him with myself in tow. My first reaction was that he was shorter than I had thought and my second was a smile that was an embrace. I introduced myself as a freelance journalist who was there to cover the speech for a local black newspaper and Dr. King found that very amusing. We chatted briefly and I tucked away a great moment in my memory, never anticipating that he would fall victim to an assassin’s bullet or that, years later, a Washington, D.C. memorial would be created in his honor. 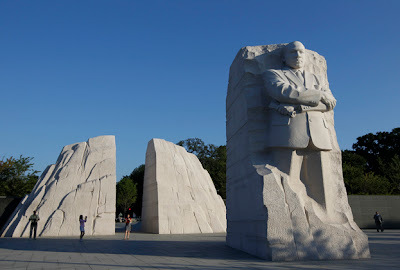 Opened to the public on August 19, a statue of Dr. King stands thirty feet tall and in an irony that boggles the mind, was carved in China, the work of a Chinese sculptor, working in an Orwellian, totalitarian society. The statue depicts a scowling figure, his face fixed with the look of every despot whose statue is intended to instill fear or awe in those who gaze upon it. His arms are crossed over his chest as if protecting himself or preparing to pass a harsh judgment. I have no idea what the memorial committee had in mind when it sanctioned this statue, but I have little doubt that Dr. King would have been mortified by it. He was a man who, on that long ago evening on the Drew University campus, greeted Vivian and me with a big smile in the midst of a great struggle to secure the rights of blacks in America. So, now, on a four-acre site on the Tidal Basin between the Lincoln and Jefferson Memorials, a huge intimidating statue stands where a life-size statue would have permitted visitors to marvel at the power of love over hate, morality over oppression, and the struggle for justice that is the birthright of all men and women. Dr, King’s life was devoted to making all Americans think about the kind of society, the kind of nation, in which they wanted to live. The memorial will be dedicated on August 28 by President Barack Obama, a man who was elected more for the color of his skin, than the content of his character. The date marks the 48th anniversary of Dr. King’s speech, “I have a dream”, on the steps of the Lincoln Memorial. Dr. King surely would be appalled that young blacks would be rioting in the streets of American cities, looting, attacking people, nearly a half century after the achievement of the Civil Rights and Voting Rights Acts for which he gave his life. I think he would have been appalled by a thirty-foot-tall statue that resembles those of tyrants like Mao tse Tung, Stalin, or Saddam Hussein. 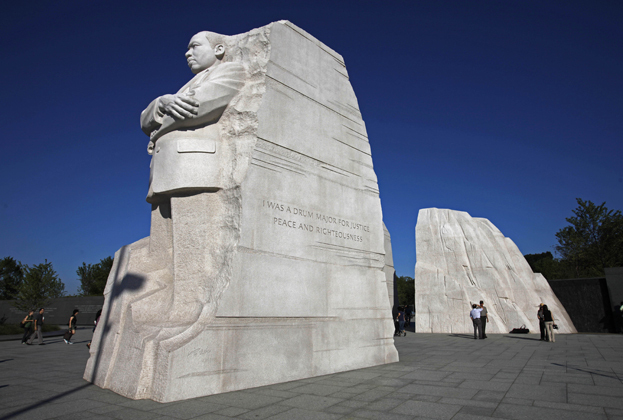 For my part, the King Memorial completely misses his message of humility combined with tenacity, of spirituality linked to non-violent struggle, of faith that great wrongs can be put right by people of faith and of courage. While watching a television commercial for some prescription medication, have you ever wondered why something it states may kill you or cause serious side effects ever was permitted to be marketed to the public? For decades I have taken a full range of vitamins, minerals and herbal supplements every morning. I don’t get head colds or any unwanted side affects. In my seventh decade, I enjoy exceptional good health. An annual physical check up is always the same. I am fine. Millions of Americans benefit from a daily regimen of vitamins, minerals, and herbal supplements. Athletes use whey protein powders. Body builders take amino acids. Others augment food products that lack sufficient nutritional value. Their health and wellness is now threatened by the Obama administration’s Food and Drug Administration (FDA). On the Friday before the Fourth of July weekend, the FDA published a 47-page document that would ban all nutritional and supplemental ingredients by requiring them to file documentation involving multi-million-dollar testing and the regulations would be retroactive to 1994! This will destroy the manufacturers of these products because most are small companies that could not afford such costs. It’s not like there is a vast body of information that demonstrates any threat to health from vitamins and minerals. Quite the contrary. There is ample information on their benefits. There are libraries filled with books devoted to this. Who would benefit from such regulation of the natural supplement industry? Big Pharma. The same pharmaceutical companies that have a long record of putting forth FDA-approved medications that later prove to be lethal are looking to use the regulatory powers of FDA to literally increase levels of illness. In the same way Obamacare has been demonstrated to not only be unconstitutional, but also a threat to the health of millions—especially senior citizens—this callous administration now threatens to remove from the shelves of stores that sell nutritional supplements, from pharmacies, and from supermarkets and other outlets, the vitamins, minerals, and herbal supplements on which millions depend for wellness. This constitutes a criminal conspiracy and Congress, which has ceded its law-making authority to the FDA, must hear from everyone in order to stop this assault on everyone’s health. Frank Murray, the former editor of Better Nutrition, Great Life, and Let’s Live, is the author and co-author of fifty books on health and nutrition. They include Natural Supplements for Diabetes, Health Benefits Derived from Sweet Orange, and 100 Super Supplements for a Longer Life. He is a member of the New York Academy of Sciences. One of Murray’s books, Sunshine and Vitamin D, notes that “With the hundreds of clinical trials published on Vitamin D in recent years—I read one study with 132 references—it is obvious that the ‘sunshine vitamin’ no longer has to play second fiddle to the other vitamins.” The same can be said for vitamins A, B, C, and E. All have amply demonstrated their value. Add to them, zink, potassium, selenium, and other mineral supplements. All those prostate advertisements are about herbal supplements! 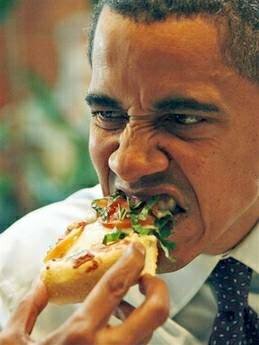 The Obama administration that has made obesity its pet project is also famous for photos of the President eating every kind of fast food. It is rank hypocrisy, but the proposed FDA ban is literally life threatening. Write, email, and fax your Representative and Senator to ensure that Congress intervenes with the FDA in the same fashion it is struggling to protect us against an out-of-control Environmental Protection Agency. In particular, contact the members of the House Oversight and Government Reform committee. Your life and the lives of your loved ones literally depend on stopping this attack on real nutrition. Americans are losing the freedom they take for granted as Big Government intrudes on every personal choice they make. The Obama administration has demonstrated its total indifference to America’s senior citizens' access to affordable medical care and now all Americans' ability to access nutritional supplements. You are being “protected” into an early grave! If you think that the attack by Palestinians on Israelis along Egypt’s Sinai border is just another in the long history of attacks from Gaza, you’re not paying attention. The new round of rocket attacks were planned and orchestrated out of Tehran, Iran using missiles smuggled into Gaza through a Sinai that is barely under the control of the Egyptians. The Arab Spring is being manipulated by the Iranian ayatollahs whose goal of destroying Israel has been central to their actions since 1979. They have created proxy armies, Hezbollah in Lebanon and Hamas in Gaza, but there are reports that even Hamas was taken by surprise when the Iranian controlled group, Jihad Islami, perpetrated the attacks. Palestinians have been famous for seizing defeat whenever even the possibility of peace could be achieved or statehood gained. Middle East analysts now believe that statehood is irrelevant to the Iranians for whom the Palestinians have always been their pawns. This has been true as well of the region’s Arab nations. The Palestinians have a history of greeting Israeli efforts for peace with renewed violence. A perfect example is Gaza, a strip of land from which Israel withdrew in 2005, forcing out Jewish residents, along with those in four settlements in the northern West Bank. In return, Gaza became a launching area for 12,000 rockets directed at Israel and, after three years of extraordinary restraint, Israel responded in late December 2008 with Operation Cast Lead, a military action, to discourage further attacks. They began again last week. As always, Israel is denounced as the aggressor, the perpetrator of violence against the Palestinians who initiated the attack. Moreover, the Palestinians are divided among themselves. In order to seize control of Gaza, Hamas forced representatives of the Palestinian Authority to retreat to Rahmallah in the West Bank. The victims of the latest attack included an Israeli commuter bus, civilian cars, and soldiers on patrol; eight Israelis died. The Israelis retaliated, dealing out punishment against the terrorists who planned the attack and were engaged in rocketing. Caught in the fog of battle, several Egyptian soldiers were killed. For Americans and other westerners, it is necessary to understand that when the PA and other Palestinian spokespersons say one thing, it usually means the opposite. Palestinians and those who must deal with them do not trust one another and it is pure folly for others to do so. The role of Iran only adds a new layer of deceit. The UN has never objected to China’s occupation of Tibet, but tiny Israel has been under constant attack by the UN as the “occupier” of lands secured in the wake of the 1967 war that was initiated as Egypt made plans to attack. Joined by Jordan and Syria, both nations lost territory that included, for Jordan, the so-called West Bank. It is composed of ancient Israel's provinces of Judea and Samaria. To achieve peace with Egypt, Israel returned the Sinai Peninsula. Until the recent overthrow of the Mubarack regime there was peace. Now the Egyptian military has aligned itself with the Muslim Brotherhood and, thus, the prospect for war has escalated. The bid for Palestinian statehood, as one longtime observer puts it, “is being sold as a test of legitimacy.” What legitimacy can it have when Palestinians have ceaselessly attacked Israel before and since Yasser Arafat formed the Palestinian Liberation Authority? What legitimacy can it have when Hamas and Lebanon's Hezbollah are sworn to the destruction of Israel? Put simply, there never was a nation of Palestine. 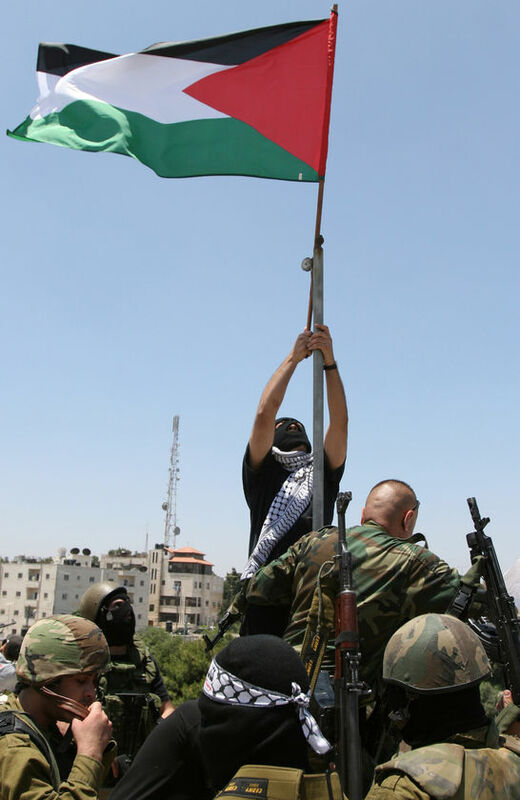 The areas claimed and fought over by the PA and Hamas barely function as a nation. They were Israel's. They are Israel's. The so-called Palestinians are the oldest “refugee” group in modern history. They have been sustained by the United Nations Relief and Works Agency for over six decades. It is the same UN that has organized and held several hate fests against Jews, dubbed Durban conferences. Among the speakers at the next one to be held September 22 will be Holocaust denier Mahmoud Ahmadinejad, the president of Iran. The Middle East has been in turmoil since the Tunisians overthrew their longtime dictator, followed by the Egyptian removal of Mubarack, the current effort to remove Libya’s Gadhafi, and the Syrian people’s efforts to drive out Basher Assad. The Iranians have sought to turn all these events to their own advantage and agenda. In sum, an entire region in transition and its people seek real freedom and real justice. They won’t have it if the Iranians continue to manipulate events, the latest of which has been to provoke a war with Israel. You know that Barack Obama is in trouble when even the Congressional Black Caucus begins to criticize him. Maxine Waters (D-CA) recently told a gathering that the CBC is “frustrated” with regard to unemployment, a problem that has hit blacks harder than whites. The only thing holding the CBC back from being more vocal, said Waters, was its fear they will lose the support of the black community. 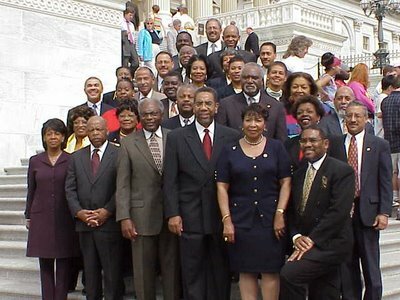 It says something about Congress and politics in America that the only race-based caucus is the Black Caucus. Like many Americans, I watched the Civil Rights movement of the 1960s unfold with the feeling that, a century passed the Civil War, it was long overdue. The movement had a leader of remarkable talent, Dr. Martin Luther King. Jr., plus others from the ministry and labor movement. It was a time of turmoil that ended with the assassinations of Dr. King, President John F. Kennedy, and of Bobby Kennedy. Others died too in the struggle but they have become relegated to being minor historic players. When the dust settled President Lyndon B. Johnson signed the Civil Rights Act of 1964 and Voting Rights Act of 1965. 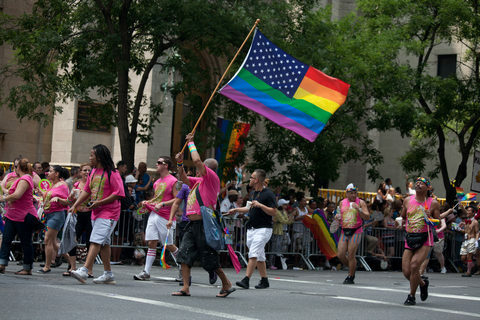 The changes in American life since then have been extraordinary. Afro-Americans were assured their voting rights, equal housing, and other opportunities that had been routinely denied. Whites accommodated themselves to the changes, having already accepted the 1954 Supreme Court decision, Brown v. Board of Education of Topeka, that "separate but equal" schools, a widespread practice in the southern and border States, were unconstitutional. While many blacks have achieved middle class status and risen to levels of real achievement, the vast bulk has not. These comments acknowledge individual success stories, but address the larger black community. As a general observation, blacks in America have chosen to ignore the gains in legally protected civil rights equality. By most indices the black community has not changed. In U.S. cities they remain ghettoized, as much from choice, as external circumstances. Instead of moving forward, integrating and assimilating into the larger white population; blacks have emotionally remained apart, nurturing a sense of being victims, holding onto an animus for whites. Social failures are so rampant among blacks that it is appalling to contemplate how many are born into single-parent families, often raised a mother or grandparents because the men are absent. They drop out of school. Unskilled and often illiterate, employment opportunities are limited. Blacks and crime have become synonymous to the point where they fill the nation’s prisons far in excess of whites and Hispanics. Drug use ravages black communities. To say whites are disappointed is an understatement. It is a source of resentment that is rarely expressed aloud to avoid being deemed a racist or engaging in hate speech. So how does one explain the phenomenon of the first black President? Observers attribute it to a large turnout of younger voters, born well after the 1960s, to union members, many of whom were government workers, to 98% of the Afro-American community, and, of course, Democrats in general. Many white voters who wanted to affirm their belief that equality was an American value pulled the lever for Obama. Barack Obama has exacerbated white disappointment and it is likely that many blacks, too, are experiencing buyer’s lament. Among whites, there’s a feeling that scores are being settled with incidents like Obama’s condemnation of a white Boston police officer, the appointment of Eric Holder as the first black Attorney General, and of others like Van Jones as Obama's “Green Jobs Czar.” Jones is a self-identified Communist and a radical environmentalist who resigned and is now safe in the bosom of progressive organizations. The latest affront to a predominantly white population is an executive order, issued on August 18, titled “Establishing a Coordinated Government-wide Initiative to Promote Diversity and Inclusion in the Federal Workplace.” In other words, whites need not apply. It will be a long time before the majority white and Hispanic populations forget or forgive the legacy of Barack Obama. Obama has wreaked economic havoc on America since taking office and this time people—black, white, Asian and Hispanic—have taken notice. I am not sure that Americans, the generations born since the New Deal of the 1930s, are ready to give up all the goodies that the federal government provides. My father’s and my generation found comfort in Social Security checks and Medicare payments, but as the late Nobel Prize winning economist, Milton Friedman, used to say, “There is no such thing as a free lunch” by which he meant you pay for what you get one way or the other, even it does not seem obvious at the time. When it comes to federal loans and guarantees, John Q. Public gets stuck with the bill. As a result of government housing programs, Fannie Mae and Freddie Mac, the nation ran smack into a financial crisis in 2008 and got its credit rating downgraded in 2011. Now Moody’s, another rating agency, is warning that the student loan program, dubbed Sallie Mae, could implode leaving Americans holding the tab for millions in unpaid loans as students graduate into an economy where no jobs would enable them to pay them back. There’s a long history of students who simply defaulted on these loans. Typical of the idiotic double-down approach of the Obama administration, the volume of these loans has actually accelerated during the recession. The student loan debt now exceeds credit card debt. Put plainly, not all young people should go to college just as not all people should own a house. There was a time when some standards were expected, but no more when bankers and lenders just want to pig out at the federal trough. There was a lot of talk about cutting the size of government and its programs during the debt ceiling debate. It ended with the largest historic increase, adding another trillion to the national debt. The result was Standard & Poor's downgrade of the nation’s credit rating! No more blank check said S&P and they were right. A bogus congressional “super committee” has been created to do this, but it is doubtful a divided Congress can achieve this unless and until new elections put people in office that actually will. Turning this function over to a dozen Congress critters is a very bad idea. Fox Business News anchor, John Stossel, published a commentary on his July 28 blog that cited some recommended reductions by libertarian and conservative experts at the Cato Institute and Heritage Foundation. Many involved eliminating whole federal departments and agencies that included the Departments of Education, Housing and Urban Development, Transportation, Agriculture, Energy, Commerce, Interior, and Labor. That kind of draconian approach—his blog was titled “Take a Chainsaw to the Budget”—has a certain kind of appeal, but only if one puts aside that some of these departments actually have some good programs amidst the questionable ones. We tend to forget that the Preamble to the Constitution includes the objective to “promote the general welfare” of Americans, though it has been much abused, like the commerce clause, by progressives over the years. The Constitution authorizes the government “to borrow money on the credit of the United States” while also stating that “No money shall be drawn from the treasury, but in consequence of appropriations made by law” while calling for a budget to be “published from time to time.” The Democrats haven't submitted a budget in over 800 days, though the Republicans did when they took control of the House. The debt the nation has incurred has been authorized by a succession of Congresses, but mostly dates to the exigencies of the Great Depression of the 1930s when “entitlement” and make-work projects—among them the Hoover Dam and the Tennessee Valley Authority—were initiated to relieve the plight of American workers and provide electrification of significant benefit. Future events are impossible to predict. Neither the consequences of those programs, nor a Second World War, the threat of the Soviet Union posed, nor were the recessions that followed were entirely predictable at the time. As in the case of 9/11, Congresses reacted within their existing time frame. There is, for example, no justification for public broadcasting subsidies when it is clear that PBS is controlled by politically motivated liberals. Cutting the Defense Department budget is pure folly as a weak nation will surely be attacked. There’s room for reductions, but maintaining a strong military is necessary to “provide for the common defense” as set forth in the Constitution. Eliminating many of our foreign bases would save billions. There are, among the recommendations, many good ones such as privatizing the Army Corps of Engineers and the Post Office. Leasing the coastal plain of ANWR would generate $1.5 billion in addition to providing billions of barrels of oil to reduce our dependence on foreign oil. 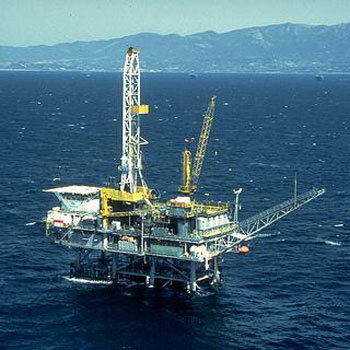 The Gulf of Mexico must be reopened to more drilling. The “War on Drugs”, estimated to cost $15 billion, is widely regarded as a failure. Drug laws fill our prisons to the point where the U.S. has more people in prison, often for minor drug offenses, than any other nation. Greater efforts at interdiction at our porous borders would help. Legalizing marijuana would help. Eliminating Fannie Mae and Freddie Mac, two “government sponsored entities” that currently own half of all mortgages would take the government out of the housing mortgage business and return it to banks and mortgage firms that would be forced to be more prudent. The housing bubble was largely caused by these two agencies and the banks and mortgage lenders that knew a government bailout was guaranteed no matter how many bad loans they made. Instead, the White House is talking about renting homes back to those foreclosed upon, thereby making the central government the largest holder of private property! That is Communism, pure and simple. Stossel and the Washington, D.C. think tanks offered lots of other options, but the greatest option of all is an end to mindless, often insane, government spending and that includes major, rapid changes to Social Security and Medicare/Medicaid. Don’t look for that to happen anytime soon. I stopped my subscription for my local daily newspaper a couple of years ago. I just stopped subscribing to Bloomberg Business Week, thus saving $65 a year. I don’t know anyone who subscribes to either Newsweek or Time magazines. I receive The Wall Street Journal every morning because I like holding a newspaper in my hands, turning the pages, reading news articles "the old fashioned way." Being a “pundit”, I spend an hour every morning visiting various news and opinion websites and blogs in which I have some confidence. At my age and with my experience as a former full-time journalist, I am less inclined to rely on the mainstream press because it is largely propaganda. And I know something about propaganda because, having left journalism in the 1970s, I ventured into public relations to make a living. What that has taught me is that virtually everything the mainstream media prints or broadcasts is a handout from a public relations agency or, in the case of government, the torrent of questionable information that pours forth from the White House, Congress, and the many departments and agencies seeking to justify their existence. All governments seek to influence the news stream. Totalitarian governments have an easier time because a journalist who becomes a problem either goes to jail or is killed. In a democracy, controlling what journalists receive involves a virtual army of government workers engaged in PR. The most visible example is the White House spokesperson and his daily briefings. The Internet has had a severe impact on newspapers. The decline has been in progress for a long time. As often as not readers have concluded that their daily newspaper is no longer a source of accurate information. The majority are owned and put together by liberals, slanting the news toward their political orientation. The mainstream media played a huge role in the election of President Obama and now are experiencing blowback from Americans who are disenchanted with him, but the truth is that newspapers have been experiencing declining circulation for quite some time. With that comes declining advertising income, the lifeblood of a newspaper or news magazine. Newsweek was owned by the Washington Post and sold for one dollar and the assumption of its debts. It is now edited by Tina Brown who made her bones over at Vanity Fair and the New Yorker. She also edits The Daily Beast, an Internet news site. Time magazine is infested with liberal editors and reporters. A former editor, Jay Carney, is now the White House spokesman. It is, however, The New York Times that has gone from “the newspaper of record” to an appallingly corrupt purveyor of news. In my youth I was a “stringer” for the New Jersey section of The Times. It is sad to see it reach a point where its columns are literally filled with lies, big and small, and the lunatic ravings of columnists like Paul Krugman. There is no longer even a pretense at objectivity, fairness, or accuracy. The news business is a closed circle of sorts. Press rooms at newspapers have fewer editors and reporters. Those still working are expected to generate several stories daily. The result is that they are increasingly dependent on public relations professionals who “feed” the news stream. At the same time, PR folk are dealing with fewer or thinner traditional news outlets. The result is less opportunity to get serious, useful news published or broadcast. There is, however, no end of space for celebrity, crime and sports news. Filling in the gaps are talk radio and the 24/7 cable news outlets. Fox News dominates this area of news and anyone who has watched Fox knows it goes out of his way to always include Democrat and liberal spokespersons in its quest of being “fair and balanced.” Beyond that, when you strip out the commercials, the news is often little more than a three minute headline, interspersed with battling political consultants, lawyers, and others. News is more often discussed than reported. Little wonder that public relations professionals are now engaged in a desperate effort to master “social media” such as Facebook and YouTube to get out their client’s message. This is not to suggest that journalism does not still play a significant role in how Americans perceive and receive “news”, but they now have a panoply of alternative sources from which to choose and, I believe, they are far more wary of what newspapers and noticeably biased broadcast outlets provide. As for the local daily newspaper to which I once subscribed, I now just visit its website and check out the obituaries. If I want to know what the weather is, I look out the window. One of the most famous lines from The Godfather was, “Leave the gun. Take the cannoli” Permit me to update that to the Middle East. Forget the wars, buy the oil, and develop our own oil as fast as possible. Middle Eastern and other oil produced worldwide is for sale to anyone who wants to purchase it. Putting our troops in harm’s way and spending trillions to do so is idiotic. The Muslim holy month of Ramadan has been marked as always with all manner of killing. The latest have been bombings in Baghdad that killed more than sixty people, the continued slaughter of Syrians sick of the two-generation despotism of the Assad family, the lingering fighting in Libya, and our continuing losses in Afghanistan. The U.S. stepped in when Saddam Hussein invaded Kuwait in 1990 to grab its oil reserves. It went back in 2003 to get rid of Saddam and never left. After 9/11 in 2001 it carpet bombed Tora Bora in Afghanistan to kill al Qaeda members and then never left. What’s wrong with this policy? There is no oil in Afghanistan. Iraq’s oil will be subject to its internal conflict and Iran’s meddling for the foreseeable future. The Middle Eastern and African oil cartel, OPEC controls 44% of the world’s crude oil production and 79% of the world’s crude oil reserves. Thanks to the Environmental Protection Agency, the Department of the Interior, and the Department of Energy, the U.S. is unable to access billions of barrels of oil in Alaska and the continental shelf on both coasts. This policy applies as well to our coal and natural gas reserves despite the fact that the U.S. has century’s worth of coal and is discovering new reserves of natural gas every day. We have been losing the capacity to refine oil. According to the U.S. Energy Information Administration, in 2009 there are 148 operable refineries, down from 150 and only 137 refineries were actually operating, down from 141. Regulations have ensured that not one new refinery has been built in the U.S. for over three decades. Whose oil do we buy? Canada provides the U.S. with two million barrels of the eleven million we use every day. If the Obama administration and environmental groups like the Sierra Club and Friends of the Earth would get out of the way and let the proposed Keystone XL Pipeline project be built, it would move oil from Canada’s Alberta province to existing pipelines and refineries for an additional 1.1 million barrels. We also purchase oil that originates in Mexico and even Venezuela. There are about 40 billion barrels of oil in the Gulf of Mexico offshore of U.S. States, to which you can add an estimated 14 billion barrels off the Atlantic and Pacific coasts. The Obama administration’s response to this has been to restrict access to it. After the BP Oil accident in the Gulf, the Obama administration’s moratorium destroyed an estimated 13,000 jobs as oil rigs left for other sites and the local economy took a huge hit. The Obama administration keeps telling everyone that it is the big, evil oil companies that determine the cost of oil and the price of gasoline, but oil is a global commodity and big oil companies can only get the daily price of various grades of crude. The top three U.S. oil companies paid $42.8 billion in income taxes in 2010 and, it should be noted, provided 9.2 million jobs for Americans who also paid taxes. While vilifying U.S. oil companies, the Obama administration neglects to mention that ExxonMobil’s pretax income in 2010 was $52 billion, from which it paid $21.6 billion in income taxes worldwide, leaving a net income of $30.5 billion. That’s a tax rate of 45%, fully 10% above the statutory corporate rate of 35%. The same tax costs apply to ConocoPhilips and Chevron. Instead, the Obama administration keeps saying that “green jobs” would replace those in the energy sector, along with increased subsidizing of wind and solar energy, the source of barely 3% of all the energy we use daily. Today, when one in ten Americans are out of work, just tapping the oil in the outer continental shelf between 3 and 200 miles off our coast, developing our domestic oil and natural gas reserves, has the potential to create 1.2 million jobs representing $70 billion in annual wages. And that does not include development of our massive coal reserves! Worldwide, the U.S. is already in competition with China and India to purchase the oil needed to sustain our industries and transportation. This is the real world, not the fantasy conjured up by the federal government and environmental organizations doing everything possible to turn off the lights and leave our cars parked in the garages of America. In September, after having driven the economy into the ditch, the President says that a new plan to get the economy going again will be unveiled. It’s a good guess that energy development, other than wind and solar, will not be part of that plan. That is a perfect definition of “redistribution” or, as President Obama once observed, “At some point you’ve made enough money.” A more un-American statement has rarely been uttered by an American President. The U.S. has been engaged in a huge experiment in redistribution since the years of the Great Depression when Franklin D. Roosevelt, a man who knew absolutely nothing about running a business and who had spent most of his life living off an allowance from his mother, tried everything he could think of to get the economy going again. The history of Social Security is one long succession of lies that Americans have been told. By the time Lyndon B. Johnson was President, the funds set aside for Social Security payments were moved to the general fund where they could be plundered by Congress. Under President Clinton Social Security payments began to be taxed as income. World War Two arrived in the U.S. on December 7, 1941, and full employment followed to defeat the fascists in Germany and Japan. The government that had expanded during the FDR years continued to expand. Americans emerged from the war without a scratch on the homeland. With the exception of Hawaii’s Pearl Harbor, none of our cities were bombed. We had a million battle-tested young men returning home in 1945, the GI bill let them go to college if they wanted, and by the 1950s we were on our way to being the greatest military power in the world and the greatest economy ever known. And the federal government never stopped expanding. It needed more money, but the stock market, with occasional recessions, just kept growing too. As time went along, Great Britain and Western Europe rebuilt, alliances such as NATO were created to thwart the Soviet Union’s ambitions, while Eastern Europe stagnated under Soviet imposed communism. In Asia, Japan became an economic powerhouse and South Korea too. China which had suffered under Chairman Mao waited until he died to convert its economy to a capitalist model, while retaining all the worst aspects of an Orwellian communist government. In the Middle East, oil allowed nations led by a handful of tribal chiefs and assorted despots acquire wealth beyond belief. Their populations remained oppressed. Now they are in the streets demanding freedom and justice. They will get Sharia law and more oppression. Economies became increasingly global and interconnected. Europe became the European Union, a huge bureaucratic mess with the Euro as a common currency. Western bankers purchased Europe’s securities and vice versa. When the housing market imploded in September 2008, they discovered that most were de-linked from the original mortgage assets and were essentially worthless to the tune of billions. The Federal Reserve responded by shipping $600 billion to prop up European central banks and Congress responded by authorizing the Treasury Department to “bail out” U.S. banks and the huge insurance company, AIG, with public funds--your money. So what have we learned from all this? Foremost of all, socialist economies are inherently unfair and disconnected from the real world of hard work, property ownership, and capital investment. We learned that bankers are greedy and take greater risks than they should. Great Britain, which has become one of the greatest welfare states in the world, was rewarded for its generosity with looting and rioting by youths whose families had lived on the dole their entire lives. Greece had already had its spate of riots. Everyone keeps saying that the U.S. must not become Greece, but the U.S. has become Greece and that accounts for all those horrible headlines from last week. The Obama administration, which has steadfastly ignored every previous “commission” that has studied the economy, has now engineered “a super committee” in Congress. It is composed of the twelve worst ideologues on either side of the economic policy divide in an effort to cut some spending, any spending! Failure has been baked into that cake. The old way of conducting the affairs of nations, particularly their economies, is coming apart at the seams. It has exposed the hypocrisy of socialism here in the United States and everywhere else it has been practiced. In the primaries, politics is a lot like pinball as it moves in unexpected ways, lifting one candidate’s chances of getting the nomination, bypassing others. In the national election, it’s more like a bowling bowl, rolling down a straight and narrow stretch headed either to the gutter or a strike. For Republicans, we’re in the pinball phase of the blood sport of politics. For Democrats, they have but one choice and that’s Barack Obama. Watch now as many Democrats re-register as either independents or Republicans. How can you tell who the White House fears more as an opposing candidate? Just watch how many times David Axelrod, the public relations guy behind Obama’s win in 2008 gets on television to attack Mitt Romney and Texas Gov. Rick Perry who announced his candidacy on Saturday, the day of the Iowa straw vote. Then try to keep count of the number of lies he will tell about either. In 2008, Axelrod had a totally unknown, charismatic Obama to sell who ran more against George W. Bush than John McCain. In 2011-2012, he has the most unpopular President since Jimmy Carter. Five days later Obama’s advisors had Gov. Rick Perry in the crosshairs. Romney had skipped the Iowa straw vote, but none of them believe the straw poll winner, Rep. Michelle Bachmann, has any chance of securing the GOP nomination. And they are right. The political pinball has bounced away from Romney, Bachmann, and other GOP candidates and found its home in the Perry campaign. The longer it stays there, the more it will transform into a great, big bowling bowl headed straight down the lane and into the White House. On one hand it will be fun to watch Axelrod and other Obama lapdogs foam at the mouth and spout all manner of lies about Perry, but it’s 2011, the economy is in the tank, the nation’s credit rating was downgraded for the first time in its history on Obama’s watch, the unemployment rate is officially at 9.1, and the dreaded “double dip” recession is in full bloom. 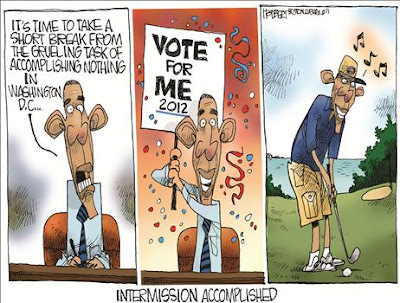 Moreover, Obama has lost his mojo. He is in the worst of all political positions; he is an object of ridicule. “In April 2011, California ranked last among the 50 states in job creation” said Folks, noting it had an unemployment rate of 11.8% while in the same month, the unemployment rate in Texas was 8.2%. “As Governor of Texas,” Folks pointed out, “Rick Perry helped to create a tax and regulatory environment that would attract new business to the state and allow businesses already there to flourish.” And Texas has a zero income tax! Within twelve hours, former Minnesota Governor Tim Pawlenty had dropped out of the GOP race and we can expect the others to follow suit with the likely exception of Mitt Romney, but Perry will demolish him in the primaries to come. Republicans can already smell a winner and with good reason. 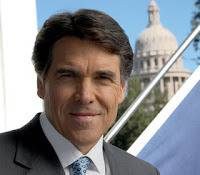 Perry is the longest serving Texas governor and he has never lost an election. The Reagan Democrats of the 1980s put him in the White House and it will be the turn of the Perry Democrats this time around. There’s a reason Obama is franticly trying to raise as much money as he can at this point, 14 months out from Election Day. In the months and weeks ahead, the smart money will no longer be there. Only one thing is predictable, Axelrod and the Chicago political thugs that form the inner circle of Obama’s team will engage in every dirty trick, every slander, and every lie possible in a desperate effort to stave off the juggernaut of Gov. Rick Perry.